For many years the estate of Stephen Slesinger and Walt Disney Co. has been involved in litigation over royalties to the paid to the Slesinger family for the Pooh character. In a new development, the Slesinger heirs have filed a fresh lawsuit claiming that they have not received past royalties because of improper business practices by Disney during that period. 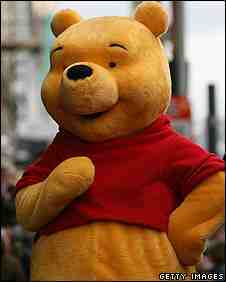 This, despite the fact that a judge ruled Walt Disney Co. had the license to the Pooh characters. A spokeswoman for Disney said in a statement that "We've always acknowledged that some of the rights we obtained are royalty bearing and continue to be so". The Slesinger heirs believe that Disney has hidden millions of dollars in unpaid royalties. The estate of Stephen Slisinger also wants Walt Disney Co. to comply with the ruling, which requires Disney to give a board report on all revenues generated from use of Pooh characters. Disney, however, says that it would rather want use such time to create more happiness and smiles for children around the world instead of having to waste time and resources on this.